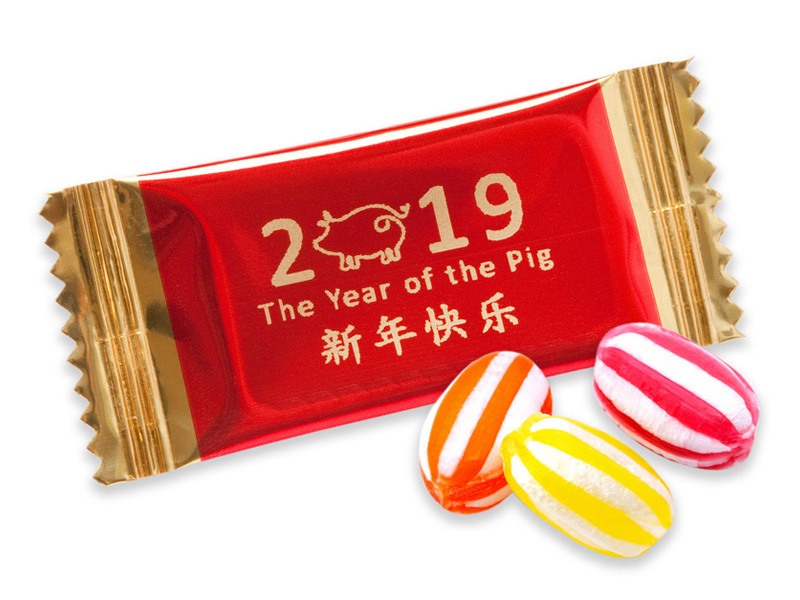 We have a great range of delicious chocolates and confectionery available to help you celebrate Chinese New Year Of The Pig with celebration messaging to surprise, delight, gift and thank your customers at this special time of year. 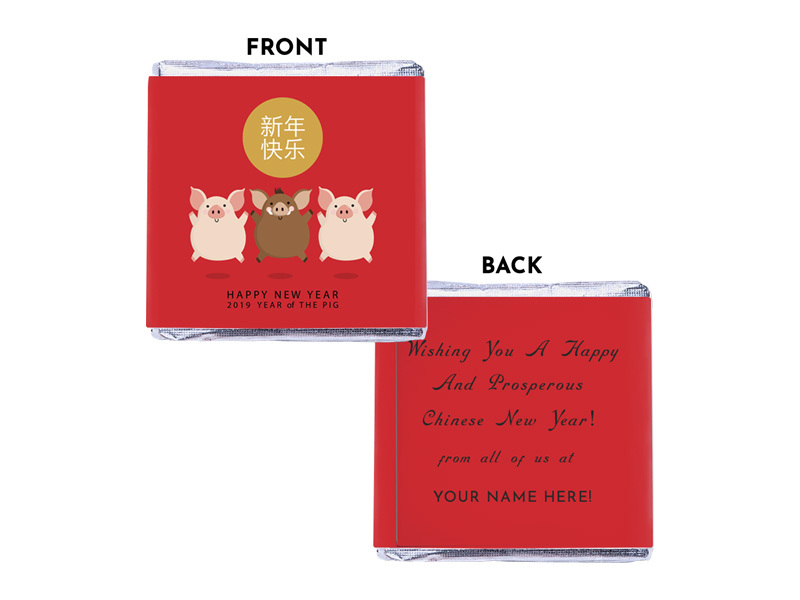 Tasty squares of Milk Orange chocolate sealed in a silver inner foil with a red outer paper wrapper printed with the message “Happy New Year 2019 Year Of The Pig” and 3 cartoon pig. The message will read: “Wishing You A Happy And Prosperous Chinese New Year from all of us at YOUR NAME HERE”. 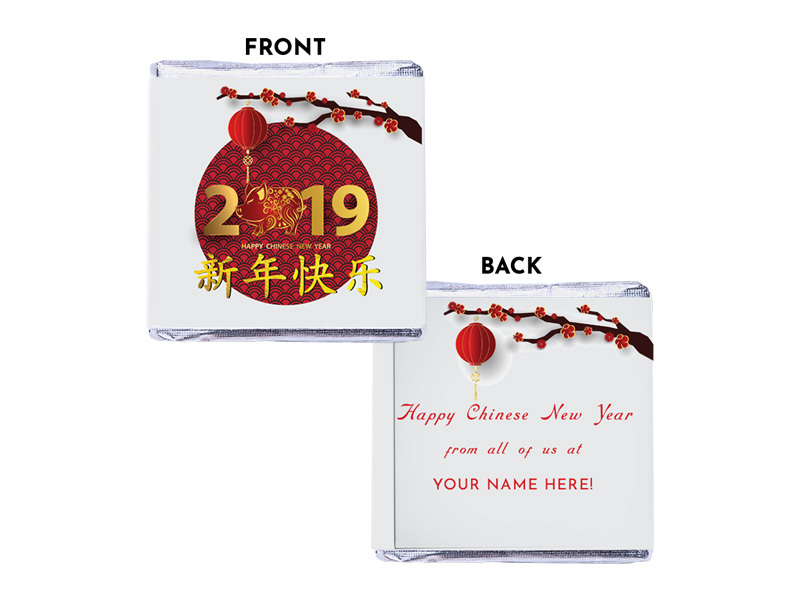 Tasty squares of Milk Mint chocolate sealed in a silver inner foil with a white outer paper wrapper printed with the message “Happy Chinese New Year” and red tree blossom. 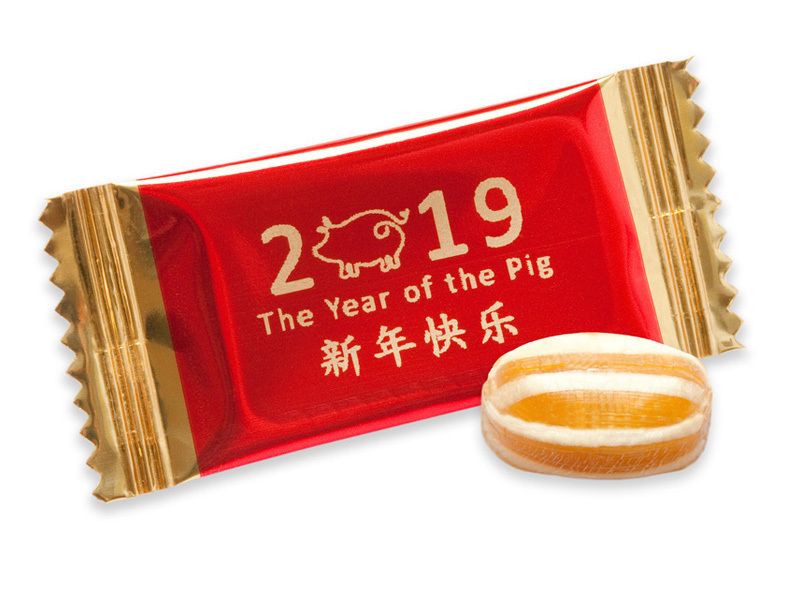 The message will read: “Happy Chinese New Year from all of us at YOUR NAME HERE”. £19.50 per 500 Chewy Mints. 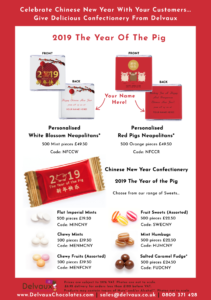 £19.50 per 500 Chewy Fruits (Assorted). 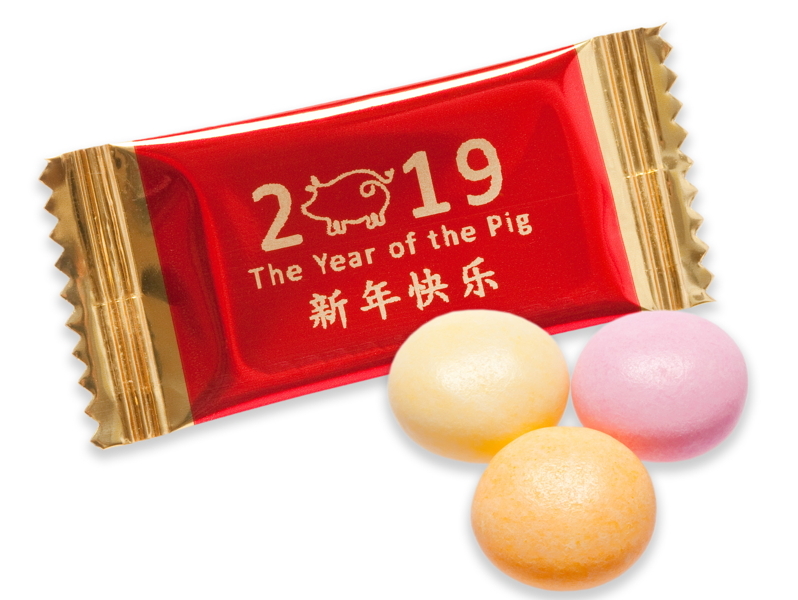 £22.50 per 500 Fruit Sweets (Assorted). £22.50 per 500 Mint Humbugs. 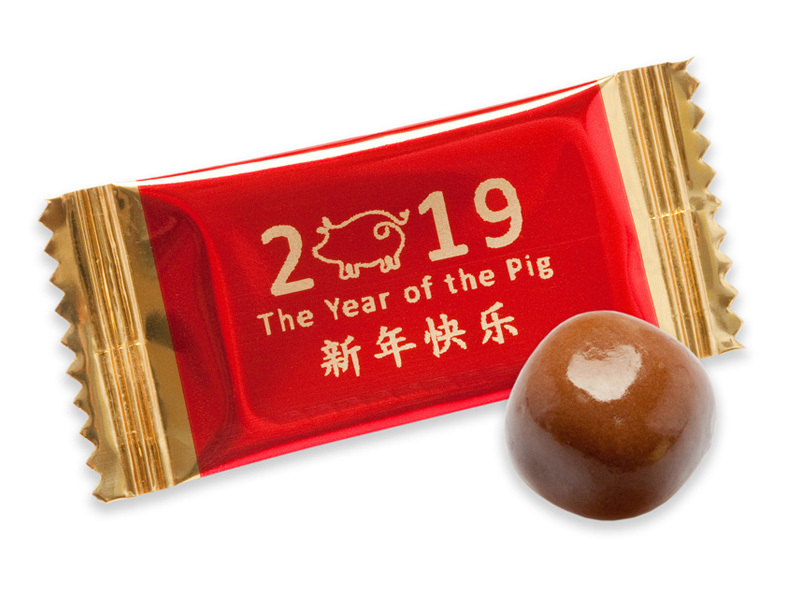 £24.50 per 500 Chocolate Salted Caramel Fudge.